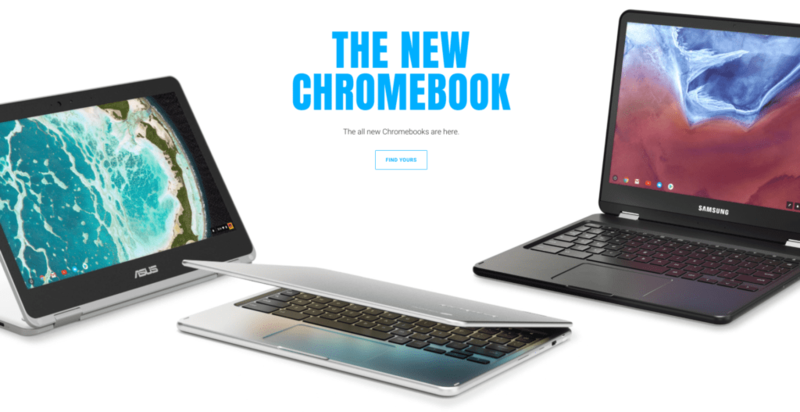 The official Chromebook page from Google has gone through many changes over the years. As the platform has evolved, so too has Google’s landing pages. 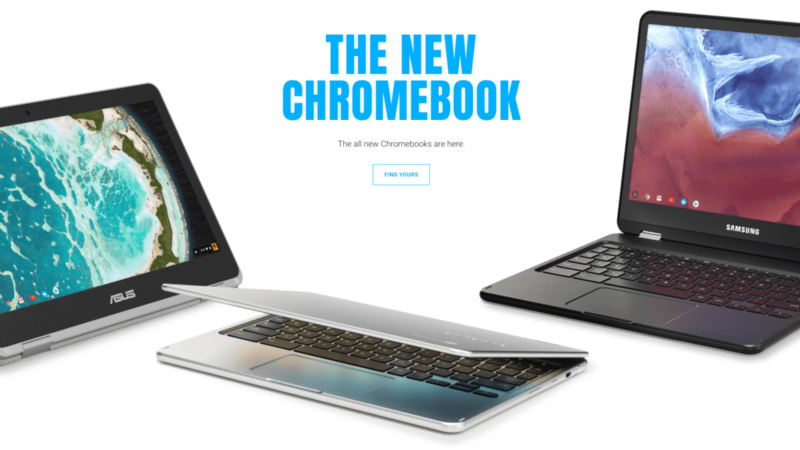 This latest incarnation is by far the most beautiful and interesting Chromebook landing page yet. From this one page, all users can see not only the beauty of the newer generation of Chromebooks, but also all the things that can be done using a Chromebook. The site is full of information, images, and very interesting design tweaks. There’s not a lot here that we didn’t already know, but that’s not really the point. Let’s chat about why this matters. In the tech business, one thing is very clear and very well-communicated: companies don’t spend marketing money on anything that they don’t deem important. Chromebooks have fallen into that area for a long time. Very little marketing dollars over the years have been spent getting the word out to potential new users. Instead, Google found a massive foothold in schools and has since taken over the education space. Now, it seems they are finally ready to aim for the consumer space as well. We’ve spilled much ink on what ‘Eve’ could mean for Chromebooks as a whole, and this landing page plays into that way of thinking. I’m a web developer by trade, so some of the things going on in this site are not only visually pleasing but a bit resource-intensive and they made me look around a bit to see what was happening behind the scenes. From animated Chromebooks opening and closing as you scroll to some unique hover elements down the page, it is quite clear that this was not a simple webpage to build. Some thought and some pretty serious coding (from a landing-page perspective, anyway) went into making this site do what it does. The bottom slider is another one of these very interesting pieces, using webGL animations to actually render the Chromebooks in the carousel. If you inspect the page, you can actually see tons of individual elements they used to build these animated Chromebooks. Not a simple job at all. What the point, then? The point is simple. Google spent some developer assets on getting this site developed and built, and you simply don’t do that for a line of devices you don’t put any real weight behind. Instead, this site has the feel of something much, much larger. Google is in this thing for the long haul, and if I was a betting man, I’d bet we see a whole new marketing push for Chromebooks going into this holiday season. Riding the wave of what ‘Eve’ is sure to create, we could finally be at the point where your average consumer not only knows what a Chromebook is, but what it is truly capable of. That only works to create more demand and more demand makes manufacturers take notice. We could be looking at the beginning of a whole new era for Chrome OS, and around here, that sounds like a really great place to be.